Secretary of State Mike Pompeo answers a question during a news conference, at the Department of State in Washington, March 26, 2019. 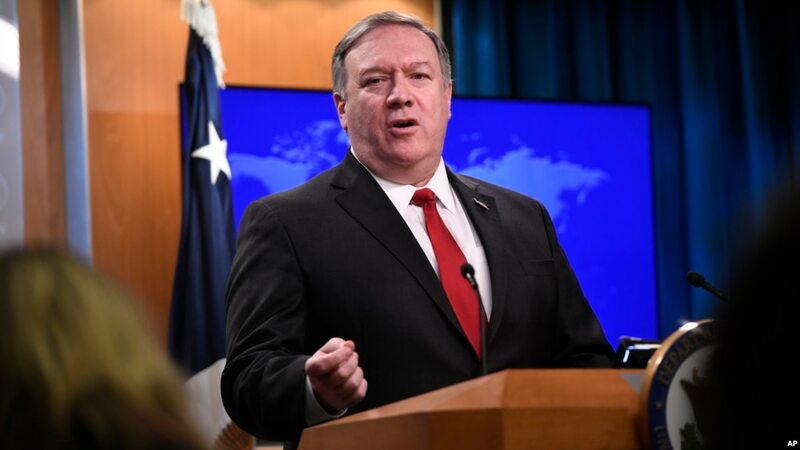 Secretary of State Mike Pompeo is describing as “tragic” and “abhorrent” China’s mass detention of Uighurs and other Muslim minority groups in internment camps in the western region of Xinjiang. 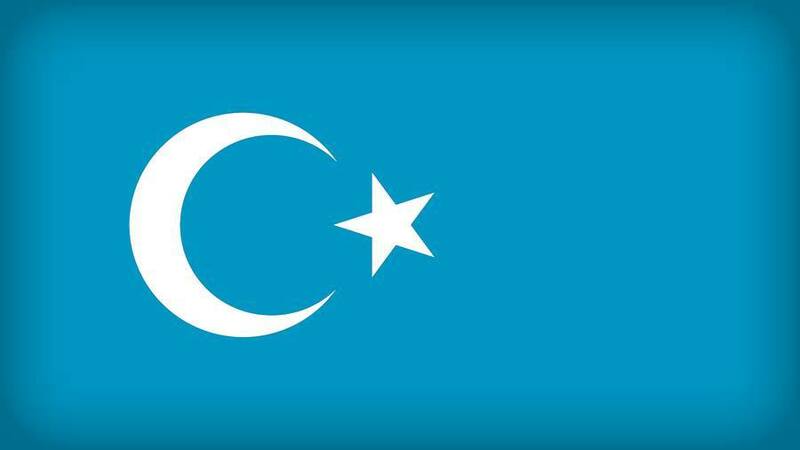 Human rights groups have accused China of putting a million Uighurs in detention camps. China says it is running a de-radicalization program and that the camps are vocational training centers to teach people about the law and the Mandarin language. Critics of the Chinese policy say the measures are aimed at destroying Uighur identity. 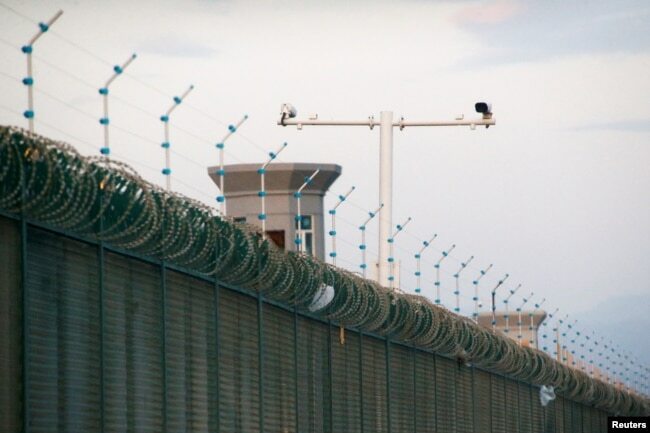 FILE – Security cameras are seen above the perimeter fence of what Beijing says is a vocational training center, in Dabancheng, in Xinjiang region, China, Sept. 4, 2018. U.S. lawmakers have been pressuring the Trump administration to take stronger action against China. Pompeo has said the administration is considering sanctions against Chinese officials responsible for rights abuses against the Uighurs in Xinjiang. The U.S. secretary of state is holding a closed meeting at the State Department in Washington Tuesday with Uighur Muslims affected by the crackdown in China’s autonomous region of Xinjiang, the country’s largest region. Xinjiang is strategically important to China, as it borders eight countries — Mongolia, Russia, Kazakhstan, Kyrgyzstan, Tajikistan, Afghanistan, Pakistan, and India. Most Uighurs live in Xinjiang.